← Set up at the Roundhouse completed. Once again, the TCLTC was invited to set up a holiday display featuring our Landmark Center that we built for our permanent layout at the actual Landmark Center in St Paul for their annual Winter Courtyard event this past weekend. The weather was not too cold, the event was well attended, and the atmosphere was festive! Afterwards, we celebrated the birthday of one of our own members, so a thoroughly enjoyable time was had by all! Yet again, we were provided cool lighting from our friends at Brickstuff, and invaluable assistance from our sponsor, Brickmania. Thanks a ton, guys! 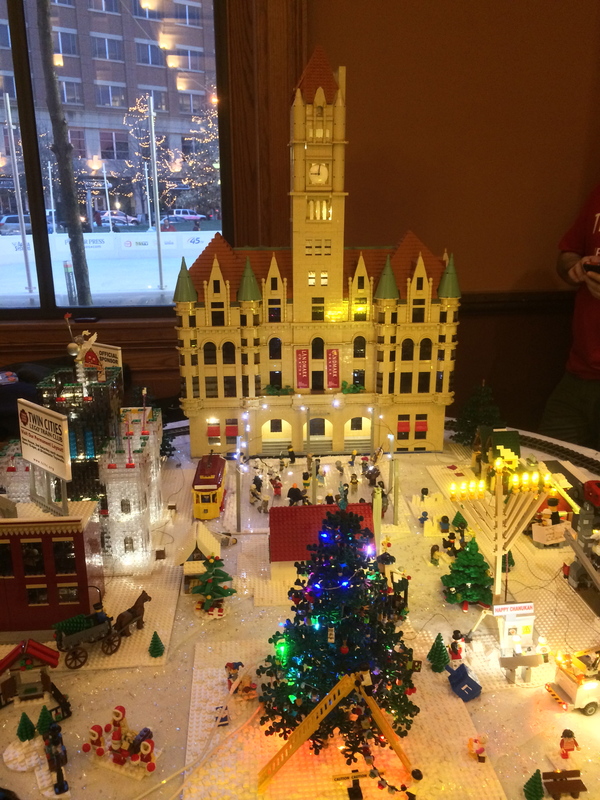 This entry was posted in Uncategorized and tagged brickmania, brickstuff, landmark center. Bookmark the permalink.